The fourth Servant Song contributed three essential points to the early church’s understanding of Jesus’ crucifixion: Christ’s suffering was innocent, vicarious, and redemptive; it avails for all persons; and the righteous sufferer will be finally vindicated. New Testament scholars are divided on whether Jesus himself made use of this chapter for the understanding of his mission, because sayings in which references to Isaiah occur (the ransom saying in Mk 10:45 and the words “for many” in Mk 14:24, the institution narrative) are probably later additions. Moreover, while some of the Passion predictions may echo the language of Isa 53 (see especially Mk 9:12 and Lk 9:44), and may be authentic, they may well be, in their present form (see especially Mk 10:33-34), vaticinia ex eventu. It is important that we see the Cross, not as the mechanical fulfillment of a preconceived dogmatic scheme, but as the culmination of the intensely personal mission of Jesus as a whole. He identified himself completely with sinners during his ministry, and in so doing he broke through the barrier of sin set up between God and humanity. He stood for God on the side of sinners. 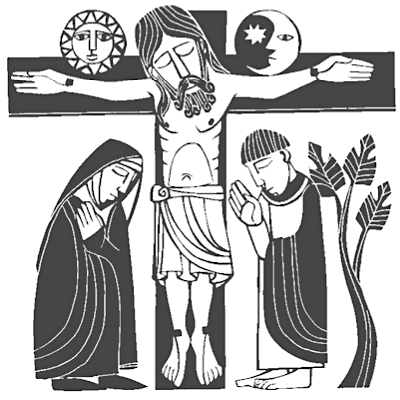 Because the early church saw the Cross in the light of Jesus’ whole ministry, it found in Isa 53 an almost perfect prophecy of the Passion and used it as a quarry for its own theological statements about the Passion. But these statements are not abstract theologoumena; they are an attempt to capture in words, and to pass on to those who did not have the direct experience of the crucifixion, the meaning of a real flesh-and-blood history as the action of God pro nobis—for us and for our salvation. Verse 5 of this Compline psalm provided for Luke the crucified One’s last word, which he substituted for the word from Psalm 22:1 in Mark-Matthew. This word, “Into thy hand I commit my spirit,” lacks the profound theological depth of that other saying; yet it has a point to make. As well as being God’s act of salvation for human beings, the cross is also the human offering of perfect obedience to God. This thought can be linked with the high priesthood of Christ, which the second reading will bring before us. This is the third enunciation of the theme of Hebrews—the priesthood of Christ. His high priesthood is characterized in three ways: sympathy for human weakness as the result of his own earthly experiences; the answer to his prayer for deliverance; and his learning of obedience. (As we said above in commenting on the responsorial psalm) the Cross, as well as being God’s act of salvation in identifying perfectly with sinners, is also a human offering of perfect obedience to God’s will. This, in fact, is the quintessential expression of Christ’s high priesthood in Hebrews (see the citation of Psalm 40:6-8 in Heb 10:5-10). The real sacrifice that God demands of human creatures is the perfect offering of themselves in obedience. Because of sin, they were unable to offer this sacrifice. The Levitical sacrifices of the old covenant could not take away sin, for they were not that perfect sacrifice but a permanent witness to their inadequacy, as the writers of Psalms 40 and 51 knew. They were destined to last until God provided this perfect sacrifice, which God did in sending the Son. Thus, through Christ, God does for us what we cannot do, namely, offer the perfect sacrifice required by God. This does not mean that we are let off scot-free and have nothing to do for our part; rather, it means that we are caught up into Christ’s self-sacrifice and are enabled in him to offer ourselves, our souls, and our bodies in union with his sacrifice, so that the imperfection of our sacrifice is transformed by the perfection of his sacrifice. As we have seen, each evangelist has his own particular perspective on the Passion, and John’s perspective is that the kingship of Jesus constantly shines through his humiliation. All the way through, Jesus is in command of the situation. He sets his passion in motion by voluntarily coming forward for his arrest. The temple police, awed by his personality, fall back. Peter would stop the arrest, but Jesus intervenes. On the cross, Jesus makes his last will, bequeathing his mother to the disciple and the disciple to his mother (John may regard Mary as a symbol of the Church). Finally, it is Jesus who decides on the moment of his death—he gives up his spirit. The passion narrative is a commentary on the saying: “I lay down my life, in order to take it up again. No one takes it from me, but I lay it down of my own accord” (Jn 10:17-18). Although the evangelist has packed most of his theology of the Cross into his discourses, especially in the farewell addresses, at least two points of interpretation are brought out in the narrative. First, Pilate (like Caiaphas earlier, on the atoning death) bears unwitting testimony to Christ’s kingship when he brings Jesus before the people and when he refuses to alter the inscription on the cross. The second point is that the Baptist had proclaimed Jesus as the true Paschal Lamb of God who takes away the world’s sin, and now Christ dies as such at the moment when the Passover lambs are being slaughtered. Then at his death he announces the completion of his sacrifice: “It is accomplished” (John 19:30; the NRSV translation, “It is finished,” is weak; the Vulgate’s Consummatum est gets the point). Reginald H. Fuller and Daniel Westberg. Liturgical Press. 1984 (Revised Edition), pp. 61-63.